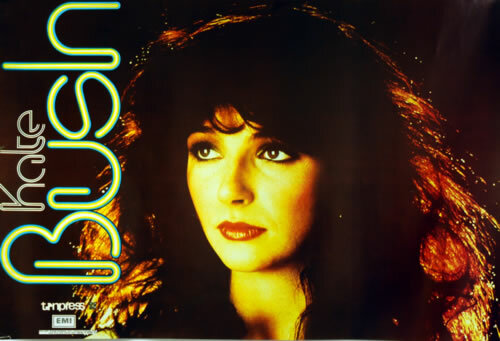 KATE BUSH Kate Bush (Rare, genuine, late 1970s Polish Tonpress/EMI promotional only poster. Measuring 27" x 18", this example is nearly new, unused and free of pinholes, sellotape, rips and tears, quite remarkable considering its near 30-yearage. Cited horizontally, it is stunning image of Kate and absolutely perfect for archival framing).